نظارت بر چگونگی گسترش مناطق شهری در مقیاس کلان امری بسیار مهم به منظور برنامه‌ریزی توسعه شهری و پیشگیری از مشکلات فاجعه بار در مناطق کلان شهری می‌باشد. با این حال، در اغلب موارد کمبود اطلاعات اولیه در این زمینه به ویژه در کشورهای در حال توسعه یکی از موانع اصلی برای رسیدن به این امر است. بنابراین به منظور بررسی تعادل در نظام شهری ایران از شاخص نخست شهری و رتبه اندازه شهرهای ایران از سال 1335 تا 1390 با استفاده از داده‌های جمعیتی نقاط شهری در دوره‌های مختلف سرشماری بهره برده شد. همچنین به منظور نظارت بر پویایی شهرنشینی در ایران معاصر از دید فضایی-زمانی از تصاویر چند زمانه DMSP/OLSمربوط به سال‌های 1371 تا 1391 بهره برده شد. نتایج تحقیق نشان داد کـه پدیده نخست شهری، با توجه به تمام شاخص‌ها در نظام شهری ایران، در تمام این دوره‌ها وجود داشته است؛ و به طور کلی نتایج حاصل از توزیع لگاریتمی مرتبه- اندازه شهرهای ایران در فاصله زمانی 1335 تا 1390 نشان می‌دهد که در 55 سال اخیر با گذر زمان توزیع شهرها به سمت عدم تعادل میل کرده و در سال 1385 نامتعادل‌‌ترین توزیع را با شیب خط مطلق 142/1 نشان می‌دهد. در نهایت تجزیه و تحلیل تصاویر DMSP در ارتباط با مناطق شهری و تولید ناخالص ملی از مدل رگرسیون خطی بهره برده شد، که نتایج نشان داد که رابطه خطی بین نور در شب و جمعیت کشور، جمعیت شهری کشور و تولید ناخالص ملی وجود دارد. میزان R2 برای جمعیت شهری برابر با 854/0 می‌باشد؛ که نشان می‌دهد از این تصاویر می‌توان به عنوان عاملی برای شناسایی پویایی در نظام شهری ایران بهره برد. Monitoring the expansion of urban areas on a macro scale is very important for planning urban development and prevention of catastrophic problems in metropolitan areas. However, in most cases, lack of basic information in this area, especially in developing countries, is one of the main obstacles to achieve this. Therefore, in order to investigate the balance in the urban system of Iran, the urban primacy index and the Rank-Sizedistribution of the cities in Iran were utilized from 1335 to 1390 using population data of urban areas in different census periods. Also, in order to monitor the dynamics of urbanization in contemporary Iran from the spatial-temporal view, the DMSP / OLS multi-temporal images of the years 1371 to 1391 were used.Considering all the indices in the urban system of Iran, the results of the research showed that the urbanprimacy phenomenon has existed in all these periods, and in general, the results derived from the Rank-size logarithmic distribution ofthe cities of Iranbetween the years of 1335 and 1390 indicate that inthe last 55 years, the distribution of the cities has tended towards imbalance over time, and indicate the most unbalanced distribution with an absolute slope of 1.142 in the year of 1385. Finally, the linear regression model was used to analyze the DMSP images in relation to urban areas and the gross national product (GDP).The results showed that there was a linear relationship between light at night and population, urban population and the GDP. The R2 value for the urban population is equal to 0.854 which shows that these images can be used as a factor for identifying the dynamics of the urban system in Iran. 1- آری‌آگا، ادوارد (1378)، روش‌های تحلیل جمعیت، ترجمه‌ی فاروق امین مظفری، تبریز: انتشارات احرار. 2- بردی آنامرادنژاد، رحیم (1390)، بررسی تحلیلی سلسله مراتب شهری در استان کردستان با استفاده از روش رتبه- اندازه و مدل تعدیلی بهفروز، فصلنامه علمی- پژوهشی جغرافیای انسانی، سال سوم، شماره دوم، صفحات 45-57. 3- پیران، پرویز.، 1381، کلانشهر تهران در ایران با تأکید بر وضعیت، چالش‌ها عمده و راهبردهای مواجهه با آینده، مجموعه مقالات کنفرانس چالش‌ها و چشم انداز توسعه ایران، جلد. دوم، ناشر: مؤسسه آموزش عالی و پژوهش مدیریت و برنامه‌ریزی آموزش، صفحات 419-436. 4- حسین زاد‌ه دلیر ، کریم . (1380)، برنامه‌ریزی ناحیه ای ،انتشارات سمت ، تهران. 5- داداش پور، آفاق پور و رفیعیان؛ هاشم، آتوسا و مجتبی (1389)، تحلیلی بر سازمان یابی فضایی سیستم شهر‌های نواحی ساحلی جنوب، مجله جغرافیا و توسعه ناحیه‌ای، شماره چهاردهم، بهار و تابستان 1389، صفحات 97-131. 6- رهنمایی، منوچهری میاندوآب و ابراهیم‌پور؛ محمدتقی، ایوب و احد (1390)، سیر تحولات نخست شهری و نظام شهری منطقه آذربایجان) 1335-1385، فصلنامه آمایش سرزمین، سال سوم، شماره پنجم، صفحات 32-5. 7- زبردست، اسفندیار (1386)، بررسی تحولات نخست شهری در ایران، نشریه هنرهای زیبا، شماره 22، صفحات 3-22. 8- عظیمی، ناصر (1381)، پویش شهرنشینی و مبانی نظام شهری، تهران: نشر نیکا. 9- گیلبرت و گاگلر؛ آلن و ژوزف (1375)، شهرها، فقر و توسعه شهرنشینی در جهان سوم. ترجمه پرویز کریمی ناصری، انتشارات شهرداری تهران. 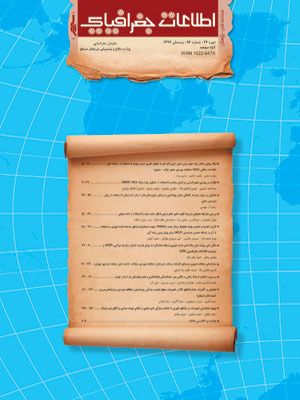 10- لطفی، ایراندوست و باباخانزاده؛ صدیقه، کیومرث و ادریس (1392)، بررسی سیر تحولات نخست شهری و نظام شهری منطقه زاگرس (1335-1385)، مجله آمایش جغرافیایی فضا، فصلنامه علمی- پژوهشی دانشگاه گلستان، سال سوم/ شماره مسلسل هشتم/ تابستان 1392، صفحات 23-45. 11- لیوارجانی و شیخ اعظمی؛ پروین‌دخت و علی(1388)، بررسی پدیده نخست شهری در ایران در سال 1385 سیاست و سرزمین، فصلنامه فضای جغرافیایی، سال نهم، شماره 27، صفحات 202- 181. 12- هوشیار، حسن، (1388). ارزیابی سلسله مراتب شهری استان آذربایجان غربی در دوره زمانی(1335-1385)، نشریه جغرافیا و برنامه‌ریزی (دانشگاه تبریز)، سال 14، شماره 30، صفحات 1-26. 13- Amaral, S., Monteiro, A., Camara, G., & Quintanilha, J. (2006). DMSP/OLS night-time light imagery for urban population estimates in the Brazilian Amazon. International Journal of Remote Sensing, 27, 855-870. 14- Badcock, B. (2002). Making sense of cities (A Geographical Survey), CoPublished in the United States of America by Oxford University Press. 15- Balk, D., Deichmann, U., Yetman, G., Pozzi, F., Hay, S., & Nelson, A. (2006). Determining global population distribution: Methods, applications and data. Advances in Parasitology, 62, 119-156. 17- Carruthers J. I. (2003), Growth at the fringe: The influence of political fragmentation in United States metropolitan areas, Papers in Regional Science 82:472-99. 19- Del Mar López, T., Aide, T., & Thomlinson, J. (2001). Urban expansion and the loss of prime agricultural lands in Puerto Rico. Ambio, 30, 49-54. 20- Doll, C., Muller, J,.& Elvidge, C. (2000). Night-time imagery as a tool for global mapping of socioeconomic parameters and greenhouse gas emissions. Ambio , 29, 157-162. 21- Doll, C., Muller, J., & Morley, J. (2006). Mapping regional economic activity from nighttime light satellite imagery. Ecological Economics, 57, 75-92. 22- Doygun, H. (2009). Effects of urban sprawl on agricultural land: A case study of Kahramanmaras,.Turkey. Environmental Monitoring and Assessment, 158(1-4) 471-478, http://dx.doi.org/10.1007/s10661-008-0597-7. 25- Elvidge, C., Imhoff, M.L., Baugh, K.E., Hobson, V.R., Nelson, I., Safran, J., Dietz, J.B., Tuttle, B.T., (2001). Nighttime lights of the world: 1994-95. ISPRS Journal of Photogrammetry and Remote Sensing 56, 81-99. 26- Gordon P., and Richardson H. W. (1997), Are compact cities a desirable planning goal? Journal of the American Planning Association 63 (1): 95-106. Gutman, P. (2007). Ecosystem services: Foundations for a new rural-urban compact. Ecological Economics, 62, 383-387. 27- Henderson, F., & Xia, Z. (1997). SAR applications in human settlement detection, populationestimation and urban land use pattern analysis: A status report. IEEE Transactions on Geoscience and Remote Sensing, 35, 79-85. 28- Ndabula, C., Jidauna, G.G., Oyatayo, K., Averik, P.D., and Iguisi, E.O., (2012). Analysis of Urban Floodplain Encroachment: Strategic Approach to Flood and Floodplain Management in Kaduna Metropolis. Journal of Geography and Geology,Vol.4, No.1, Pages. 170-182. www.ccsenet.org/jgg. 29- Potere, D., & Schneider, A. (2007). A critical look at representations of urban areas in global maps. GeoJournal, 69, 55-80. 30- Pumain,Denise (2006). The Urbanization presses, in Demography : analysis and synthesis: a treatise in population studies / Graziella Caselli, Jacques Vallin, and Guillaume Wunsch ; with contributions by Daniel Courgeau, Volume 2, London: Academic Press. 31- Schneider, A., Friedl, M. A., & Potere, D. (2009). A new map of global urban extent from MODIS satellite data. Environmental Research Letters, 044003. 32- Seto, K., & Fragkias, M. (2005). Quantifying spatiotemporal patterns of urban land-us change in four cities of China with time series landscape metrics. Landscape Ecology , 20, 871-888. 33- Seto, K., Kaufmann, R., & Woodcock, C. (2000). Landsat reveals China's farmland reserves, but they're vanishing fast. Nature, 406, 121. 34- Seto, K., Sánchez-Rodríguez, R., & Fragkias, M. (2010). The new geography of contemporary urbanization and the environment. Annual review of environment and resources. 35- Seto, K., Woodcock, C., Song, C., Huang, X., Lu, J., & Kaufmann, R. (2002). Monitoring land-use change in the Pearl River Delta using Landsat TM. International Journal of Remote Sensing, 23, 1985-2004. 36- Sutton, P., Elvidge, C., & Ghosh, T. (2007). Estimation of gross domestic product at subnational scales using nighttime satellite imagery. International Journal of Ecological Economics & Statistics, 8, 5-21. 37- Sutton, P., Elvidge, C&,.Obremski, T. (2003). Building and evaluating models to estimate ambient population density. Photogrammetric Engineering and Remote Sensing, 69, 545-554..
39- United Nations (2007). Table 6. Definition of “Urban”. Demographic Yearbook 2005. New york: United Nations. 40- United Nations (2010). World urbanization prospects, 2009 revision. New York: United Nations. Wallace, R., & Wallace, D. (1990). Origins of public health collapse in New York City: The dynamics of planned shrinkage, contagious urban decay and social disintegration. Bulletin of the New York Academy of Medicine, 66, 391. 41- United Nations (2012) World Urbanization Prospects: The 2011 Revision United Nations (Population Division of the Department of Economic and Social Affairs), New York. ESA/P/WP/224. 42- Weng, Q. (2009). Thermal infrared remote sensing for urban climate and environmental studies: Methods, applications, and trends. ISPRS Journal of Photogrammetry and Remote Sensing, 64, 335-344. 44- Xiao, J., Shen, Y., Ge, J., Tateishi, R., Tang, C., Liang, Y., et al. (2006). Evaluating urban expansion and land use change in Shijiazhuang, China, by using GIS and remote sensing. Landscape and Urban Planning, 75, 69-80. 46- Zhuo, L., Ichinose, T., Zheng, J., Chen, J., Shi, P., & Li, X. (2009). Modelling the population density of China at the pixel level based on DMSP/OLS non-radiance-calibrated night-time light images. International Journal of Remote Sensing, 30, 1003–-1018.